This Motor provides excellent response to starting, stopping and reversing pulses from stepper motor driver. It will give you 87 kg-cm of torque at 5 Ampere of current per phase. You can use them where you need high torque at high speed. The NEMA34 87 kg-cm Hybrid Stepper Motor is a brushless dc motor which operates in Open Loop Control system. The motor shaft is customized and has a shape of 94-UP Mustang V. This type of shaft is useful in providing stability in high power operation. It can be operated at exceptionally high speeds. Comparably more powerful than NEMA17 and NEMA23 motors. 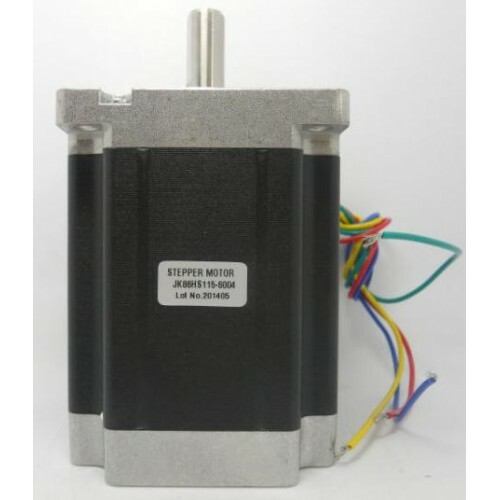 They are high torque stepper motors.